This clever Raspberry Pi kit will allow you to build your own computer! Assemble a credit-card sized computer, then use an included 32GB SD card loaded with the New Out Of Box Software (NOOBS) to get it running right away -- then, connect to a monitor and input device and get experimenting with programming! A vibrant online community will give you lots of ideas of what you can do with your very own Raspberry Pi. 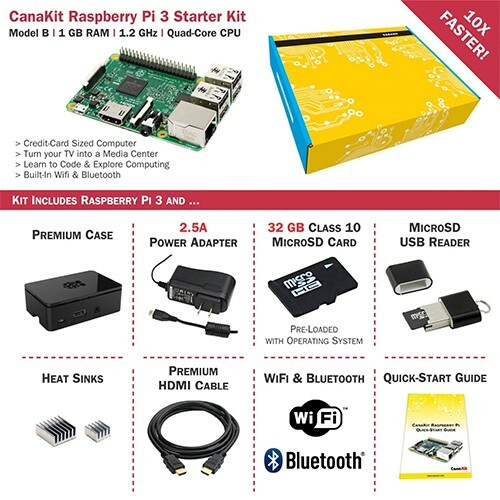 This exclusive kit from CanaKit (TM) includes everything you need to get up and running within minutes in the exciting world of Raspberry Pi! The Ultimate Starter Kit version includes a high quality Raspberry Pi case as well as the newest version of the famous Raspberry Pi along with a 32GB SD Card pre-loaded with NOOBS. Just connect and be up and running immediately! The kit also includes a 2.5A USB Power Supply with Micro USB Cable and Noise Filter specially designed and tested for the power hungry Raspberry Pi. 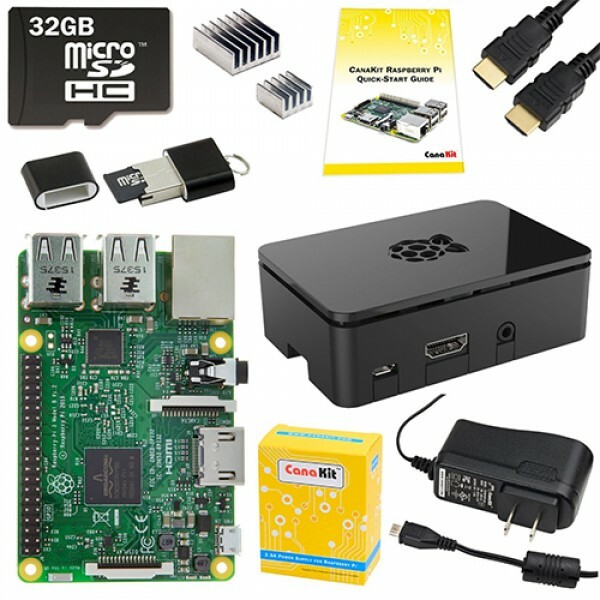 For a smaller kit that only includes the computer components, check out the Raspberry Pi Basic Set.